When I first heard about tofu, I thought is was something I’d never eat. But after giving up meat, I became curious. Although I wanted to try it, I resisted because I didn’t know what the hell to do with a watered down, spongy square block of food. I mean, really? I’d go to the store and contemplate buying it, standing in front of the cooler staring at it as if somewhere out of the blue how to cook it would hit me. After-all it looked like no meat I’d ever eaten before (it is a meat replacement, right?). It’s not like I could’ve gone to the nearest vegetarian restaurant and try it. When I was living in Texas, tofu wasn’t served in restaurants. And food blogs weren’t even a thing. Being a new vegetarian was hard. I garnered the courage to put tofu in my basket, convincing myself this is the next step to learning how to prepare it. I hadn’t a clue what I’d do with it. I tossed it in the freezer and forgot about it. Then I started reading a new cookbook I was gifted. Vegetarian Classics inspired me to do something with that dang tofu. So I did, not sure what I was getting into. I now prepare that spongy block with the confidence I used to prepare rump roast with. I learned that freezing tofu when bringing it home from the store prepares it to soak up lots of marinade after thawing and pressing. Pressing the tofu prior to baking or cooking it removes the water to make room for the marinade. I’ve also learned baking or dry-pan toasting the tofu after pressing out the water prior to marinating assists in improving the tofu’s texture, drying it out even further. It sounds like a lot to do to prepare tofu. I get it. But once you do it, and get the flow down, you’ll be whippin up tofu like a boss! Have you tried forbidden rice? I discovered it at our local co-op in the bulk bins. I was intrigued and brought some home. It’s nutty, slightly sweet and versatile. My friend Aysegul shared a breakfast bowl using it and I shared this gratin recipe and mango salad recipe using forbidden rice a few months back. A spoonful of black rice bran has as many antioxidants as a spoonful of fresh blueberries. Put it on your list! 1-2 Tbs Sriracha 2 for the heat! In a medium sauce pan, add the rice, coconut milk, water and salt. Bring to a boil, cover and turn heat to low. Cook for 40 minutes with lid on. Start checked at about 35 minutes to make sure the rice is not sticking. If it is, give it a stir and put the lid back on. Remove from heat and let stand, covered, for 10 minutes. Preheat the oven to 350F (180C). 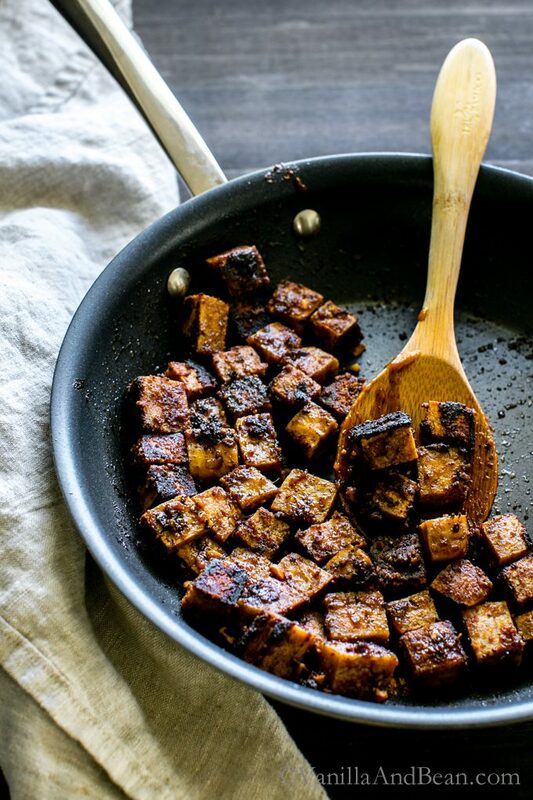 Slice the tofu into 1" cubes and place on a parchment or silpat lined sheet pan. Bake for 20 minutes. This will dry the tofu out. Meanwhile, in a small bowl whisk the maple syrup, tamari, oil, sriracha, peanut butter, garlic and ginger. Whisk to combine the marinade. Stir in the baked tofu and marinate for at least 10 minutes (30 if you can). Warm a medium non-stick saute pan on medium heat with 1 Tbs of sesame oil. Using a slotted spoon, transfer the tofu to the pan. Some of the marinade will transfer to the pan, most of it should stay in the bowl. Cook tofu on medium heat, allowing it to get a little crispy with some crust forming from the marinade. Cook the tofu until crispy and warmed through, stirring and tossing occassionally. About 5-8 minutes. Keep warm. Leftover marinade can be frozen to be used again. Or, gently warm it and use it as a sauce to slather over the tofu just before serving. Slice the bok choy, lengthwise, in half. In a nonstick pan, add 1 Tbs of sesame oil, swirl it around in the pan and heat until shimmering. Place the bok choy in the pan, flat side down. Cook for 2 minutes, flip, sprinkle with salt and pepper. Add 2 Tbs water to the pan and put a lid on for about 30 seconds to wilt the bok choy. Remove from heat and keep warm. 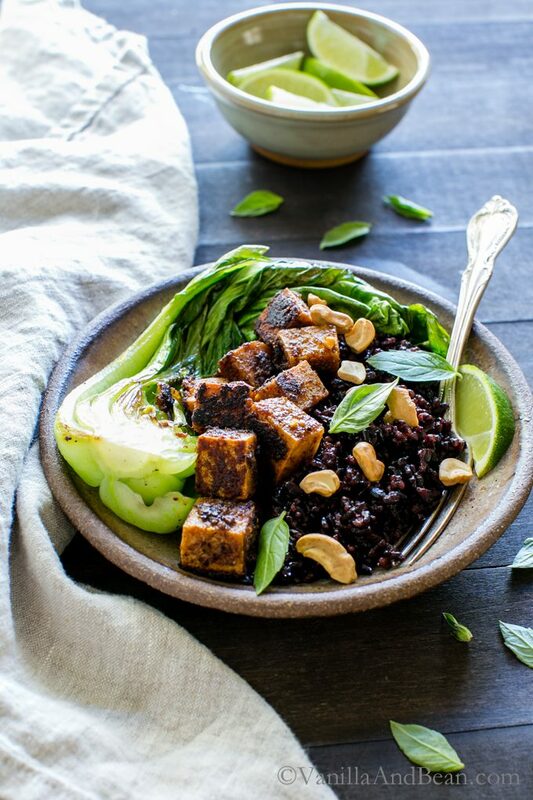 Divide the rice, tofu and bok choy between bowls and garnish with cashews, lime wedges and basil. Refrigerate leftovers in a covered container for up to three days. Freeze your tofu when you bring it home from the store. Thaw it in the refrigerator overnight, then press out the water. Something magical happens in the freezer. Since tofu is packaged in water, we need press the water out of it to make room for flavor! To press thawed tofu, use a tea towel and place it under and on top of the tofu. Set it on a plate. Place something heavy on top, like a cutting board, another plate or a not-so-full box of wine to press the water out. We don't want it too heavy or it will squash the tofu. Move the tea towel a few times to a dryer area of the towel so it can absorb more water. Press for about 20-30 minutes, up to an hour if you have time. Marinade recipe adapted from my Thai Lentil Lettuce Wraps. Just made this and it is sooo delicious. I especially loved the Tofu and the baking really works wonders for the texture. I added some Beansprouts coz I had some and it added a nice crunch. Thanks for sharing. I made this today. I didn’t have Forbidden Rice. I used wild rice instead. Perhaps it was the coconut milk I used but the rice tasted like chocolate. It wasn’t appealing. The tofu & bok choy however turned out great. Will definitely make again with an alternative rice recipe. Hi Jena! Thank you for your note. So happy you like the tofu and boc choy! Yeah, I can’t imagine pairing wild rice with coconut milk. Wild rice and forbidden rice have very different textures and flavors. I wouldn’t want my rice to taste like chocolate either! I made this last night, and I’m eating leftovers right now. Such a delicious recipe! The tofu marinade in particular is incredible. I can see using it for lots of other things. Thanks for a great meal! Thank you for sharing, Katie! I just made the tofu recipe last night with previously frozen leftover sauce. So happy you enjoyed the recipe! This bowl sounds so delicious! Love your sauce recipe for the tofu! Oh my!!! I grew up as a vegetarian, and even though I eat meat now I still thing vegetarian food is/always will be my favorite. I’ve had to come up with meals so that my carnivore husband will eat vegetarian meals during the week and so far we both agree on tofu stir frys and dishes of that sort. This looks divine! I’m going to have to try this! What a great way to bridge eating styles, Sonal! No doubt, Rob loves this recipe and a few other tofu dishes I’ve made. But the tofu must have lots of flavor for him to like it. I hope you enjoy this! I made the tofu part of this recipe a few days ago, I shared it in my vegetarian Facebook fan page and, as I promised, here I am giving testimony of hope great this recipe is! Really, it was a huge success! What an amazing combination of flavors and textures! 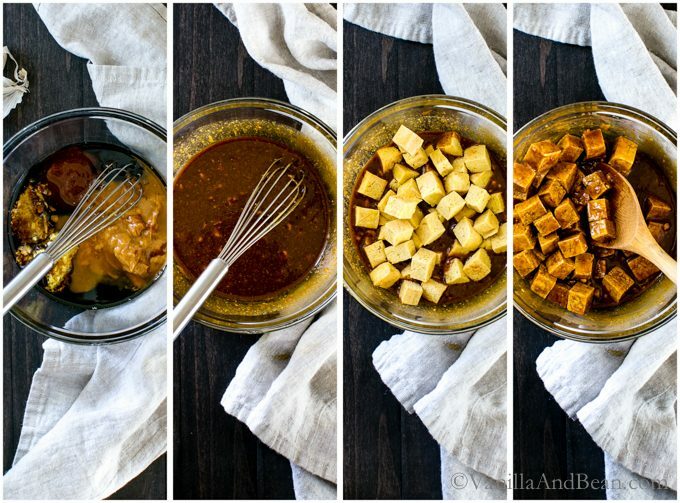 The marinade is one of the best ones I´ve tried, and so easy to make! If you are afraid of tofu in any way, give it a chance with this recipe, you will fall in love instantly! 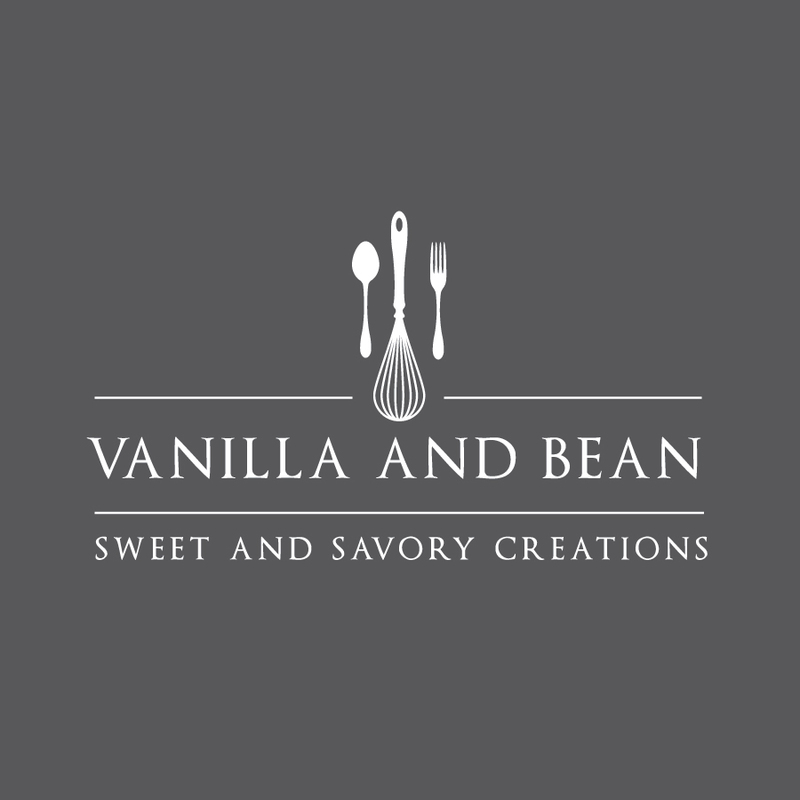 Thank you so much for trying the recipe AND sharing it with your facebook group! I use a very similar marinade recipe for a dressing in my Thai Lentil Lettuce Wraps. I figured why not give it a try as a marinade with tofu! I sometimes make a double batch of the tofu and snack on it cold or toss it in a salad with red bells, ses seeds, snap peas and a quick tahini dressing. It’s quite a versatile recipe. Thank you again, Adela for your comments! I’m so happy you enjoyed it! The drying the tofu out technique is something I swear by when I used tofu for stir frys. This bowl looks so good. Never tried forbidden rice but always been curious as to how it tastes. Those bowls are so pretty! Haha growing up in California, tofu has been second nature! But I think some cooking methods are definitely better than others. I love it when it’s crisp and flavorful! I have now found a source of forbidden rice and it is definitely NOT wild rice! Hey Marina! So happy you found a resource…. definitely not wild rice! I hope you enjoy it! I was attracted to this recipe immediately and made it last night. To increase the appeal to my children, I added stir fried carrots, broccoli and red peppers. I heated the remaining marinade after sautéing the tofu. The end result was so delicious, I want to eat this every night! The addition of peanut butter to the classic teriyaki marinade really gives this dish a fantastic twist. Thank you! This will now be in the dinnertime rotation! I’ve never thought of freezing the tofu first to help prep for the marinade. We never marinade tofu in Chinese cooking, so there’s a whole new area of tofu prep that I have yet to explore more. I’ve got to try that trick out soon! Beautiful bowl, Traci! Just imagine all the flavor combinations, Lisa! Delicious! I don’t know much about preparing tofu, but this dish looks super appetizing! Thank you, Laura! I hope this helps. I really appreciate the tips on preparing tofu, Traci! I’m still such a newbie when it comes to tofu… I never really grew up eating it, and I usually opt for chickpeas or beans for my protein. But maybe I’ll have to give tofu a second chance now that I know these fantastic tips ;) Thanks girl! Welcome my dear! Chickpeas and beans are a staple around here too… and then there’s tofu at least every few weeks. I hope you enjoy it, Sarah! 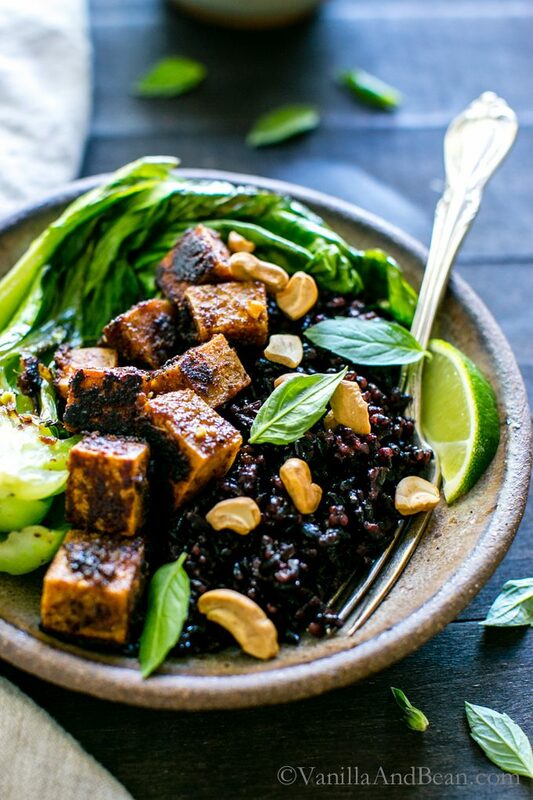 I adore forbidden rice and it looks so great with this tofu! I never knew about the freezing tofu trick- I’ll have to try that! I’ve finally converted Ryan into liking tofu too so it’s become a regular around our house now too. Coconut is such a great complement to forbidden rice and I love adding a touch of ginger along with it as the rice cooks. Really wonderful, Traci! I don’t eat tofu enough, Traci – It always seems to crumble apart if I saute it or be too hard if I bake it. But I have not tried freezing it – so thanks for that tip. Will be trying this soon. And is forbidden rice the same as black rice? I will have to look out for in the market. 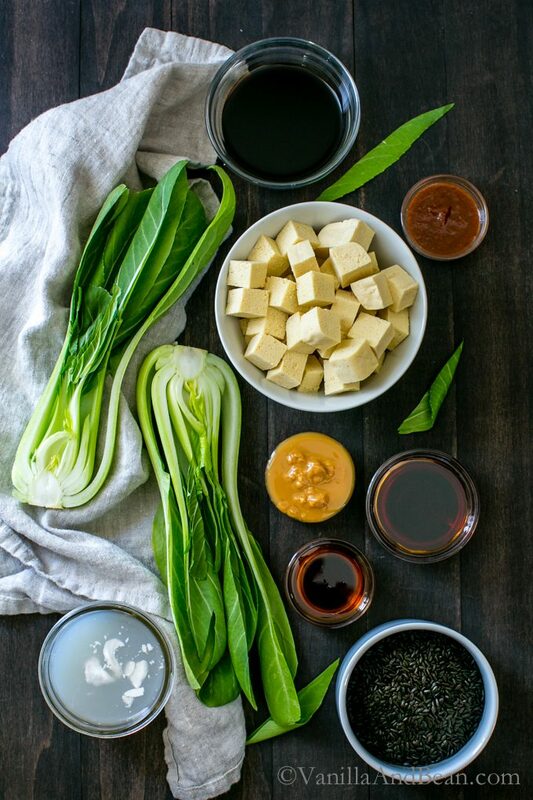 And bring on the bok choy – love it – and I’ve never tried cooking it the way you have – so definitely trying that too! Hope you have a good weekend. I love hearing about your first experience with tofu! I’m not a vegetarian, but tofu is now also one of my favorite things to prepare – I love how much it will soak in the marinades. I’ve never thought to freeze it though – brilliant! I also LOVE that forbidden rice – we always have a bag on hand. Relatedly: have you every tried Hodo Soy’s extra firm tofu?? 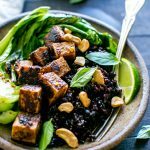 This spicy peanut tofu bowl is so gorgeous – I love the contrast to the dark forbidden rice and I bet it pairs with the nuttiness of that rice just perfectly! I feel the same way about tofu. It is a block of blah, but they way you did made me want to give it a shot. Such great tips there for beginners like me Traci. 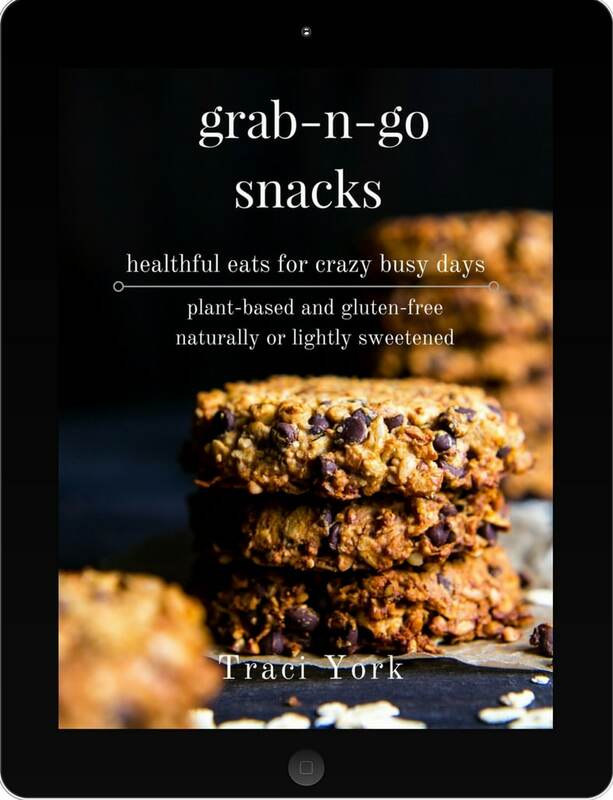 Heeheeh, enjoyed reading about your journey towards embracing the tofu :)) my first few stabs were pretty much disasters (inedible) – it was before the internet age (oy) and we didn’t have handy access to all these inspiring recipes and information… so an apprenticeship it was. As you demonstrate so well here, it’s all in the prep – those crispy seared cubes are just gorgeous Traci and I’m digging the peanutty sauce you’ve pulled together for us. Lotza heat on mine please :o/ Beautiful pics my dear. You sure make tofu look good. I saw this in my inbox and immediately wanted to make it! I love freezing tofu! And I’ve really been enjoying Thai basil lately! Beautiful post, Traci! Oh my goodness, DEB! You’re on vaca and you stopped by!? :D Thank you Sweets! So happy to hear your a tofu freezer too. It DOES make a difference, right? That thai basil is incredible.. oh my! I must admit, I’ve never tried tofu Traci, but you’ve definitely got me curious. I’m really loving the marinade you’ve created for it. And it’s so funny, but Tom and I went out to dinner just last night and the dish he ordered contained several elements that are very similar to this dish! He enjoyed a halibut with bok choy and forbidden rise. It was hilarious because you know from following my blog how picky Tom can be and when that dish showed up at our table with the forbidden rice the expression on his face was priceless!! He thought it was going to look like regular white rice. He wouldn’t believe me when I told him that yes, that dark stuff was the rice. He had to ask the waiter for confirmation before he picked up his fork and dove in! Always an adventure with him! Such a creative dish here Traci. Thanks for sharing and have a wonderful weekend. LoL! That cracks me up, Mary Ann! Tom and Rob would get along just fine. :D Although Rob likes forbidden rice now, when I first made it, he looked at it as if something was terribly wrong… the dark stuff! LOL He said it’s not ‘regular’ rice… OMGeee!! I get it! The bok choy and forbidden rice pair so well together… but I think it would be just delicious what any seasonal green.